A collection of Christmas songs with a Gospel twist. On the heels of album success with Thirsty, Here I Am and I Win, Marvin Sapp is back with Christmas Card, a collection of feel-good Christmas songs with a Gospel flavour. Marvin has one of the most recognizable voices in Gospel music and this album marks his seventh solo release. The album also features guest artists Fred Hammond, Joe and Commissioned and includes classic hymns such as 'God Rest Ye Merry Gentlemen', 'What Child is This?' and 'Home for Christmas'. 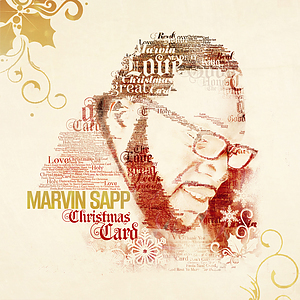 Christmas Card CD by Marvin Sapp was published by Provident Integrity Europe in October 2013 and is our 40277th best seller. The ISBN for Christmas Card CD is 888837425223. Be the first to review Christmas Card CD! Got a question? No problem! Just click here to ask us about Christmas Card CD.